A. James Reimer, 2000. Family photo. A. (Allen) James "Jim" Reimer, Mennonite theologian and professor at Conrad Grebel University College, was born in Morris, Manitoba on 10 August 1942 to John D. Reimer (1917-1990 )and Mary (Zacharias) Reimer (1918-2004), and grew up in Altona, Manitoba. His early faith was shaped both by a traditional Russian Mennonite ethos of community and right living as well as the revivalist emphasis on the assurance of salvation in the decision of faith. In 1958, he was baptized in the Altona Bergthaler Mennonite Church by Bishop David Schultz. He studied at Canadian Mennonite Bible College (BChEd, 1963), University of Manitoba (BA Hons., History and Philosophy, 1971), Union Theological Seminary in New York, University of Toronto (MA, History, 1974) and the University of St. Michael’s College in Toronto (PhD, Theology, 1983). At various times during these years, he worked as a reporter, Bible school teacher, camp director and conference student services worker. On 25 May 1968, he married Margaret Loewen. They had three children: Christina, Thomas, and Micah. Soon after moving to Waterloo in 1972, the Reimers became members at Rockway Mennonite Church in Kitchener where Jim was a frequent preacher and teacher. Reimer made significant contributions to Mennonite theology and post-secondary institutions. He began teaching theology at Conrad Grebel [University] College, University of Waterloo in 1978. He was a fulltime faculty member at Grebel from 1983 until his retirement in 2008 when the University of Waterloo honored him with the designation Distinguished Professor Emeritus. Instrumental in the establishment in 1987 of Grebel’s Masters of Theological Studies program, he served variously as its director and academic advisor. Reimer also served as an adjunct faculty member in Theology and History at the Toronto School of Theology (TST), an ecumenical consortium of graduate colleges at the University of Toronto. He was the founding director (1990) of the Toronto Mennonite Theological Centre, a teaching and research center at TST. He taught doctoral-level courses at TST on a regular basis from 1982 to 2008, advised students, and directed several doctoral dissertations in systematic and historical theology. He believed strongly in the importance of the active presence of the Anabaptist/peace-church tradition in an ecumenical consortium, as well as the need for Mennonite thought to be developed in close dialogue with other Christian traditions. His conviction that Mennonite theology ought to be rooted in the classical tradition of creedal trinitarian orthodoxy began to take shape during doctoral studies where he encountered the thought of philosopher George Grant. Persuaded that Grant’s critique of the emphases in modernity on individual autonomy, historicism, and technology also highlighted potential dangers in the Mennonite emphasis on right human action, especially pacifism, Reimer staked out a critical position in Mennonite theology. For example, he analyzed in John Howard Yoder’s thought a tendency to reduce theology to ethics that was a particularly Mennonite form of modernity’s human-centered history-making approach. Reimer advocated a retrieval of a transcendent, mystical, and sacramental account of God and God’s relationship with the world. He believed that the classical Christian tradition, represented in the early church, church fathers, the creeds, and most centrally by the doctrine of the Triune God, provides the resources by which Christians may ground their beliefs and actions, including pacifism, outside of themselves. Yet, just as the church fathers thought imaginatively about ultimate reality, so too this classical tradition ought to be appropriated in creative ways. The juxtaposition of the concepts “dogmatic” and “imagination” (found in the title of his popular book on Christian belief) as well as “creed” and “conscience” (reflected in the title of the Festschrift presented in his honour) express Reimer’s claims about the possibility and necessity of holding together the universal truths of Christianity with the particularities of the Anabaptist-Mennonite experience. His 2003 book Mennonites and Classical Theology: Dogmatic Foundations for Christian Ethics includes 36 previously published or presented essays on the critique of modernity, Mennonite theology, and the classical imagination. Reimer’s doctoral work and subsequent book on German theologians during the Hitler era showed that while Emanuel Hirsch and Paul Tillich took diametrically opposed stances on the Third Reich, they failed to articulate sufficiently theological criteria for their political thought such that political ideology came to determine their theology in each case. Reimer continued to work on political theology from a historical perspective, including the thought of Dietrich Bonhoeffer and Paul Tillich, as a well as in a textbook on Christians and War. Toward the end of this life, he developed an outline and some draft chapters for a constructive work on “Political Theology: Law, Order and Civil Society.” He argued against what he perceived as the tendency for Mennonite theology to do social ethics from “within the womb of the church,” often as a witness against the state, since it failed to account for the practical engagement of contemporary Mennonites in the world around them. The project aimed to provide a positive Anabaptist theology of civil institutions, including natural and civil law, government, and policing. Beginning in the late 1970s, Reimer was involved in an ongoing seminar at the Inter-University Centre in Dubrovnik, Yugoslavia (later: Croatia) that brought together theologians, social theorists, and Marxist philosophers on “The Future of Religion.” From 2002 until his death, Reimer was a key participant in an ongoing dialogue between North American Mennonites and Shi’i Muslims of the Imam Khomeini Education and Research Institute in Qom, Iran. Two days after the final concert of Five-on-the-Floor, the bluegrass gospel group in which he sang high tenor for many years, he died at home of cancer, on 28 August 2010. Bergen, Jeremy M., Paul G. Doerksen and Karl Koop, eds. Creed and Conscience: Essays in Honour of A. James Reimer. Kitchener: Pandora, 2007. Hatlem, Jodie Boyer, and Douglas Johnson Hatlem. “Exousiology and Torah: A Suggestion for Mennonite Political Theology with Reference to the Reimer-Yoder Divide.” Direction 38 (2009): 45-57. Heidebrecht, Paul C. “A Prescription for the Ills of Modernity? Understanding A. James Reimer's Approach to Theology.” Mennonite Quarterly Review 80 (2006): 229-248. Reesor, Rachel. “A Mennonite Theological Response to a Canadian Context: A James Reimer.” Mennonite Quarterly Review 73 (1999): 645-654. Reimer, A. James, ed. The Influence of the Frankfurt School on Contemporary Theology: Critical Theory and the Future of Religion. Lewiston, NY: Mellen, 1992. Reimer, A. James. “An Anabaptist-Mennonite Political Theology: Theological Presuppostitions.” Direction 38 (2009): 29-44. Reimer, A. James. “Christian Theology Today: What is at Stake?” The Conrad Grebel Review 26, no. 3 (Fall 2008): 4-26. Reimer, A. James. “Constantine: From Religious Pluralism to Christian Hegemony.” In The Future of Religion: Toward a Reconciled Society. Ed. Michael R. Ott, 71-90. Leiden: Brill, 2007. Reimer, A. James. “Pacifism, Policing, and Individual Conscience.” The Conrad Grebel Review 26, no. 2 (Spring 2008): 129-141. Reimer, A. James. “Public Orthodoxy and Civic Forbearance: The Challenges of Modern Law for Religious Minority Groups.” The Conrad Grebel Review 21, no. 3 (Fall 2003): 96-111. Reimer, A. James. “Trinitarian Foundations for Christian Spirituality.” In On Spirituality: Essays from the Third Shiʹi Muslim Mennonite Christian Dialogue. Ed., M. Darrol Bryant, A. James Reimer, and Susan Kennel Harrison, 55-62. Kitchener: Pandora Press, 2010. Reimer, A. James. Christians and War: A Brief History of the Church's Teachings and Practices. Minneapolis: Fortress, 2010. Reimer, A. James. Mennonites and Classical Theology: Dogmatic Foundations for Christian Ethics. Kitchener: Pandora Press, 2001. Reimer, A. James. The Dogmatic Imagination: The Dynamics of Christian Belief. Waterloo: Herald Press, 2003. Rempel, John. “A. James Reimer: A Spiritual and Intellectual Biography.” In Creed and Conscience. Ed. Jeremy M. Bergen, Paul G. Doerksen and Karl Koop, 17-24. Kitchener: Pandora, 2007. Rogalsky, Dave. “Church Loses Theologian Who Loved It.” Obituary. Canadian Mennonite (20 September 2010): 26. Weaver, J. Denny. “Mennonite Theological Self-Understanding: A Response to A. James Reimer.” In Mennonite Identity: Historical and Contemporary Perspectives. Ed. Calvin Wall Redekop and Samuel J. Steiner, 39-61. Lanham, MD: University Press of America, 1988. Bergen, Jeremy M. "Reimer, A. James (1942-2010)." Global Anabaptist Mennonite Encyclopedia Online. April 2012. Web. 25 Apr 2019. http://gameo.org/index.php?title=Reimer,_A._James_(1942-2010)&oldid=143709. Bergen, Jeremy M. (April 2012). 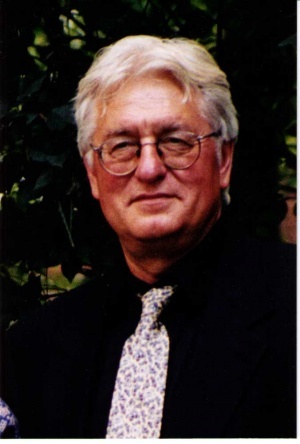 Reimer, A. James (1942-2010). Global Anabaptist Mennonite Encyclopedia Online. Retrieved 25 April 2019, from http://gameo.org/index.php?title=Reimer,_A._James_(1942-2010)&oldid=143709. This page was last modified on 15 January 2017, at 23:09.